With age and daily environmental aggressions, skin cells become progressively “deaf” to self-regeneration mechanisms. Signs of aging settle in deeply on your face, your skin loses its natural radiance. 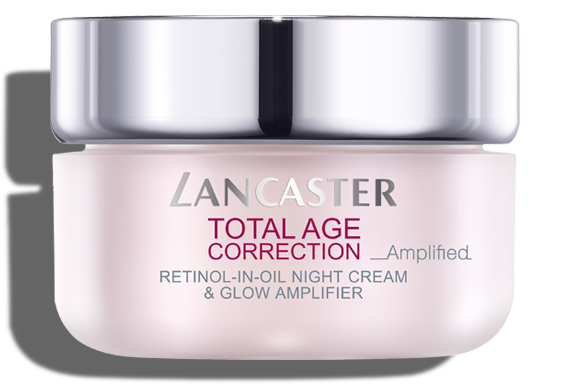 Lancaster introduces Retinol-In-Oil Night Cream & Glow Amplifier, a new generation night cream in an extremely comfortable oil-textured formula that amplifies both the anti-aging action and the skin’s natural glow. Deeply replenished, your skin wakes up looking radiant, rested, rejuvenated. It appears smoother, firmer and more even. Our leading technologies now amplified with our latest breakthroughs: • Amplified Cell Functioning: DNA technology that helps support natural skin DNA repair is now optimized with Epigenetic technology. 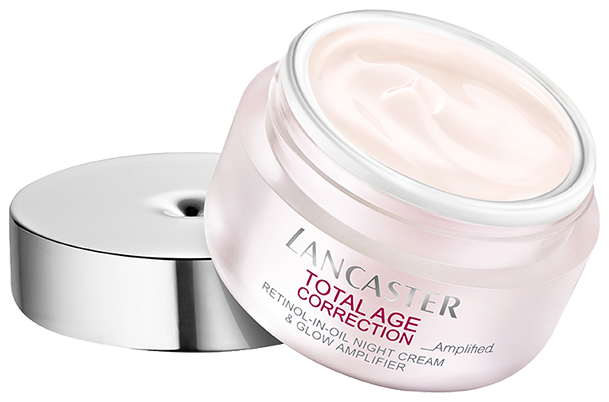 • Amplified Cell Regeneration: High concentration of Bi-Retinol™ Complex enriched with soy extract helps regenerate skin through the night and fight against wrinkles, lack of firmness and evenness. A silky-soft texture, inspired by our hero product Retinol-In-Oil fuses the comfort of a cream & the touch of an oil, to intensively nourish skin. Did you know that your night care is more efficient when your skin is properly cleansed first? Bead-free, 365 Skin Repair Gentle Peel Detoxifying Foam follows your regular make up remover to thoroughly prepare your skin by removing unwanted pollutants, UV filters, impurities and makeup residues. 365 days a year your skin feels purified, detoxified & resurfaced, as if renewed. 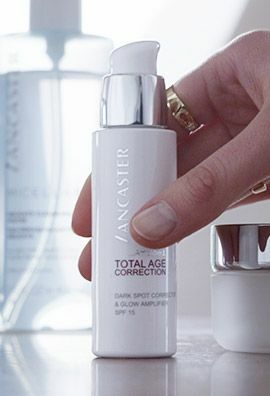 Every evening, to prevent dark spots and premature aging, pump Total Age Correction Dark Spot Corrector & Glow Amplifier SPF15 into the palm of your hand. Smooth evenly over face & décolleté using gentle, sweeping movements. 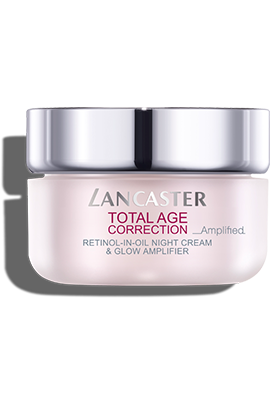 Follow with silky-soft Total Age Correction Retinol-in- Oil Night Cream & Glow Amplifier, to deeply replenish and nourish your skin throughout the night.